Downtown on a crisp, winter’s evening is a great time to walk around and look for that perfect skyline shot. On this particular trip, my good friend and fellow photographer, David Morefield and I had parked downtown in the theater district and set about looking for a good angle. 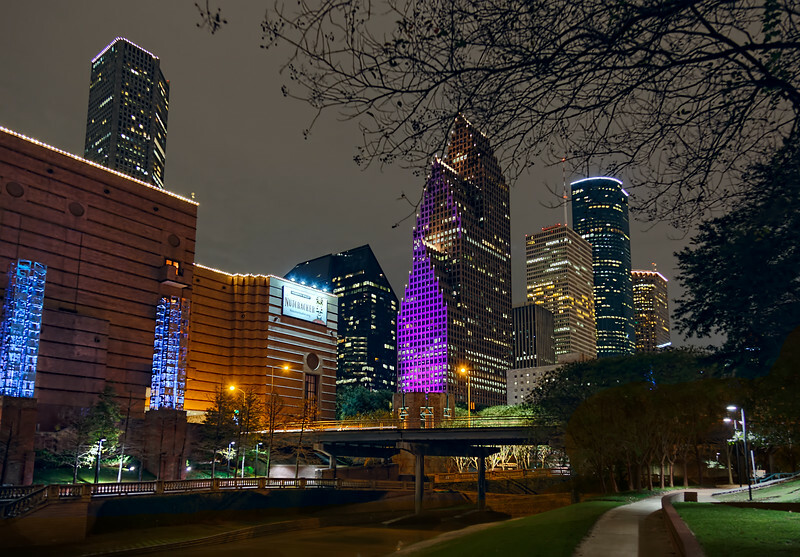 The leafless trees provided an interesting frame for this scene, along with the colorful lights on the Wortham Center and the downtown buildings. I had just managed to take a few images when David informed me that he wasn’t feeling very well and would have to cut our excursion short. So, we packed up and headed home. Though our evening ended abruptly, I’m pleased with what I was able to capture. Besides, it just gives us an excuse to get together and go shooting again.